The Stewardship and Celebration Weekend in and around West Witton church (June 6-8) got off to a joyful and special start thanks to Cantabile – the young singers from the Wensleydale School (above). St Bartholomew’s church was full for this thoroughly enjoyable “Concert for a Summer’s Evening” which began with a foot-tapping rendition of Rhythm of Life. This, and several other items that evening, revealed how well balanced this choir was. The harmonies were often enchanting. But the most memorable song was Call your girlfriend which the choir leader, Kath Barker, had transposed for the choir, and to which Simon Chorley provided an entertaining accompaniment using a plastic pot. 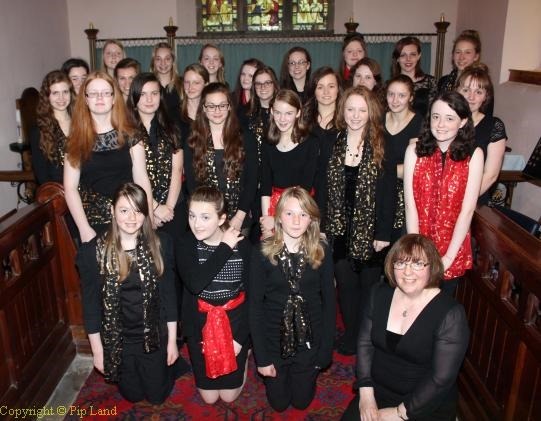 And there were memorable solos by Rachael Binks, Jessica Buck, Kate Chorley, Jo-Ann Lambert, Rayanne McGee and Anya Wagstaff. Pimms and canapés were served afterwards and some wandered out into the bunting-bedecked churchyard to enjoy a beautiful summer’s evening. The collection that evening (£320) was shared equally between Cantabile (to cover the cost of new music and travelling expenses) and the school at the Bungokho Rural Development Centre in Uganda. Not even heavy rain on Saturday could dampen the spirit of the weekend and many made their way to the village playing field where there was a plant and book sale with table top “Swop and Share”. 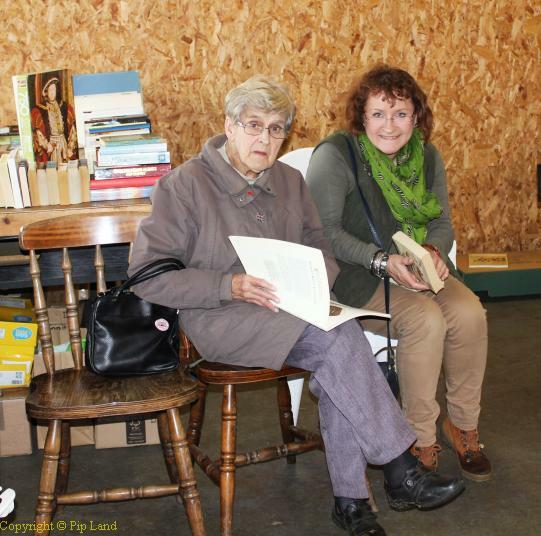 All the stalls along with refreshments were hastily moved into the pavilion when the rain started – but the excellent array of plants and books and the welcome coffee and scones drew many from both the village and further afield. The funds raised went towards the cost of running St Bartholomew’s. For this was a stewardship weekend aimed at raising awareness of the importance of the St Bartholomew’s within the community. After centuries of service it would be sad to lose it! 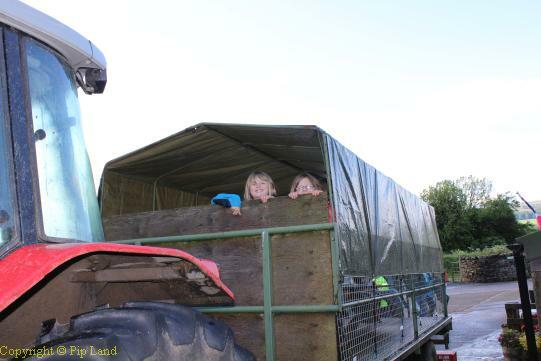 The community extends to Swinithwaite and on Saturday evening a merry group gathered at Berry’s farm shop for what was more like a charabanc ride up to Penhill. Adrian Thornton-Berry drove the tractor pulling a trailer load of people (including a granny armed with an ipad) while his mother, Caroline Gardner, drove the old Land Rover full of food and beverages. After a day of torrential rain those who had signed up for the “Evening of Penhill” were amazed to find themselves bathed in glorious sunshine and with a clear blue sky overhead. It had turned into one of those champagne-like Dales’ evenings – perfect for a picnic up on the hills with Blaise Vyner and Adrian providing the commentary on the moorland birds and the history of the area. “To stand in silence with only the sound of the birds; to experience the light of that June evening, as we gathered for a late picnic looking down on to Walden and Bishopdale and way into the distance was utterly stunning. We could only look and listen in wonder at such a truly awe-inspiring sight,” said Gillian Vyner. She added that when they got back to Swinithwaite three hours later they all agreed it had been a privilege to have been part of that expedition and an absolute thrill. On their return Bridget Thornton-Berry served hot drinks in her kitchen. The Songs of Praise service in St Bartholomew’s on Sunday morning provided both a joyful and thoughtful finale. It began with remembering those who died during the D-Day landings and many shared why they had chosen hymns. And it ended with a rousing rendition of Tell out my soul, the greatness of the Lord. She told the congregation that stewardship meant giving time, talents and financial resources to maintaining the church’s service to the community – and she especially thanked all those who had helped to make the weekend so enjoyable. She reminded them that it was Pentecost – when the church celebrated God making the life-changing gift of the Holy Spirit available to everyone whoever and wherever they were. And she thanked Jesus Christ for making that possible. Below – a floral display at St Bartholomew’s. An album of photographs of the event, as originally posted in Pip’s Gallery, are available on CD. Anyone who wishes to have a good copy of any of the photographs (printed or by email) can purchase it from me. Contact me at pip.land@internet.com.